Traditional Samoyed national costume. Nenets indigenous people folk dress. 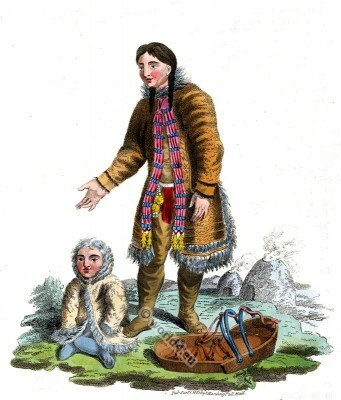 Northern arctic Russia costume by Edward Harding 1803.